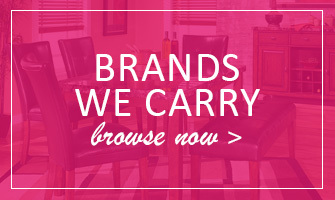 When you’re starting out buying home furniture or a room needs an upgrade, savvy households know who they can rely on: America’s biggest brand, Ashley furniture. For seven decades this label has delivered top quality. Not only that, it gives you an incomparable selection, from refreshing takes on classic themes from colonial to Victorian to midcentury, to modern designs straight from the studio to reflect how you live today! 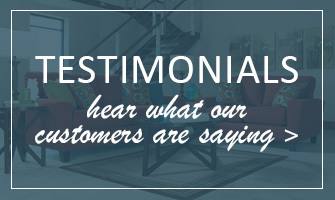 Better still, we’re able to give hardworking Brooklyn and Staten Island furniture shoppers like you a massive price break on Ashley furniture thanks to this brand’s ultra-efficient production. 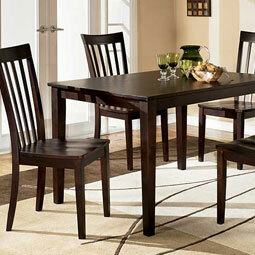 Ashley dining room furniture is designed and built in mind that you need more than a room for special occasions. Your dining set should reflect your daily life, making mealtimes together a welcome respite from the stresses of the outside world. Put away the smartphone and sit down to a delicious breakfast or carefully prepared supper on one of Ashley’s 5-piece dining sets, a customer favorite at Flamingo. 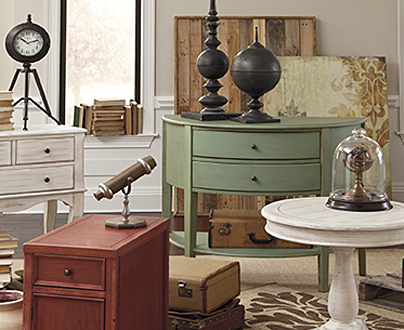 You’ll find designs fitting decors as varied as art deco and Danish Modern. 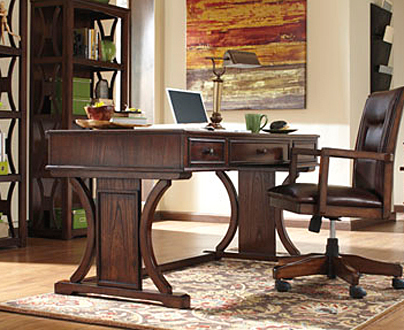 All Ashley dining tables and chairs are of solid construction. 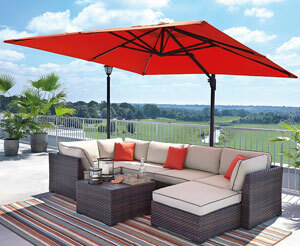 When you want to be the host with the most, wow your guests with the luxury of Ashley living room furniture. 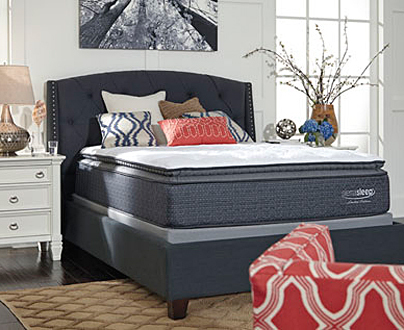 This marque literally affords you the ability to stretch out comfortably on everything from plush chaise sectional sofas to leather-upholstered loveseats and state-of-the-art power lift recliners giving your aching back the lumbar support it deserves. Got overnight guests? 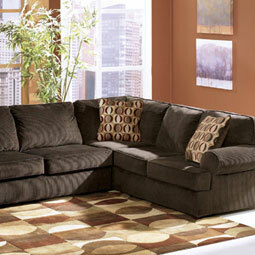 Check out our amazing Ashley sleeper sofas, easy to open and tuck back in. Whether your stylistic preference is the cool dignity of panel headboards or the dominating majesty of a sleigh bed, Ashley bedroom furniture seems made to order. 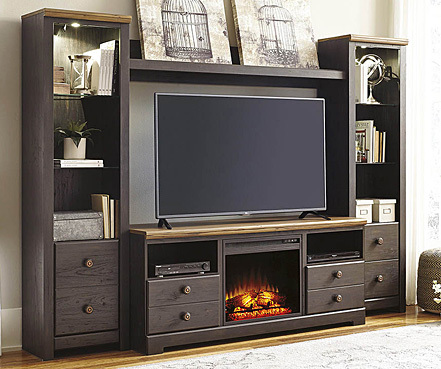 Great options in twin, full, queen, and king bed sets include up-to-date nightstands with USB charging stations and cool bedroom media chests for cozy late-night TV viewing, some with the added pleasure of an LED fireplace insert. 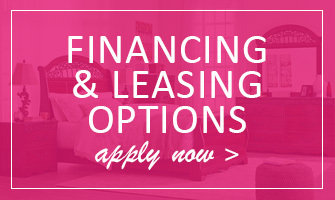 Remember, when you buy Ashley furniture from Flamingo, you not only save big. You help the environment because we are careful to recycle all packaging. A win-win! Check out your selection online, then visit our Brooklyn, NY store soon.